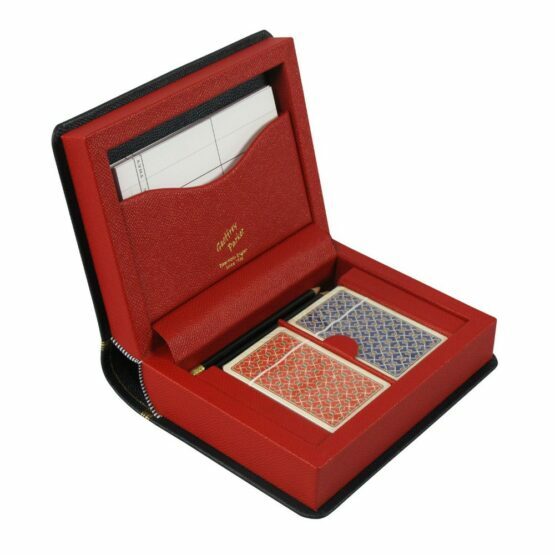 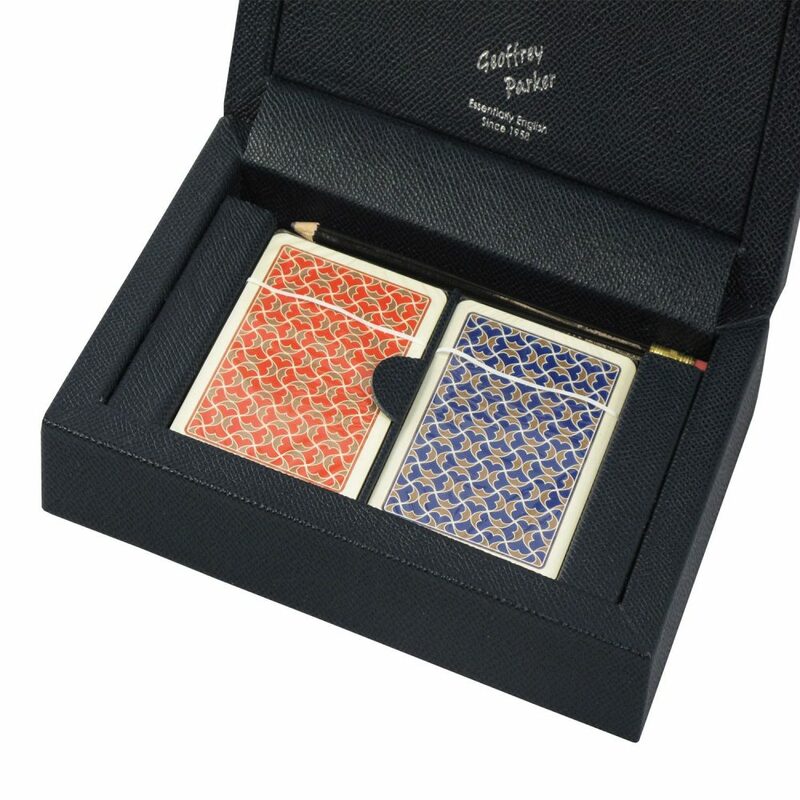 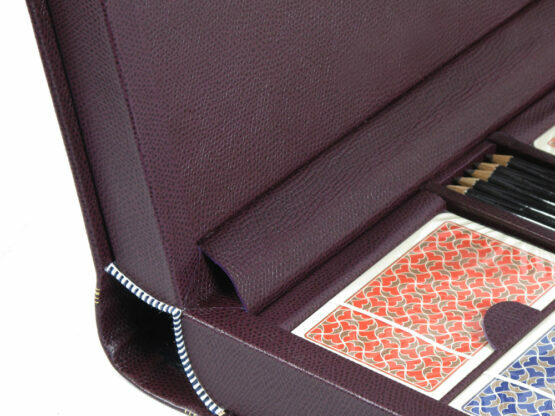 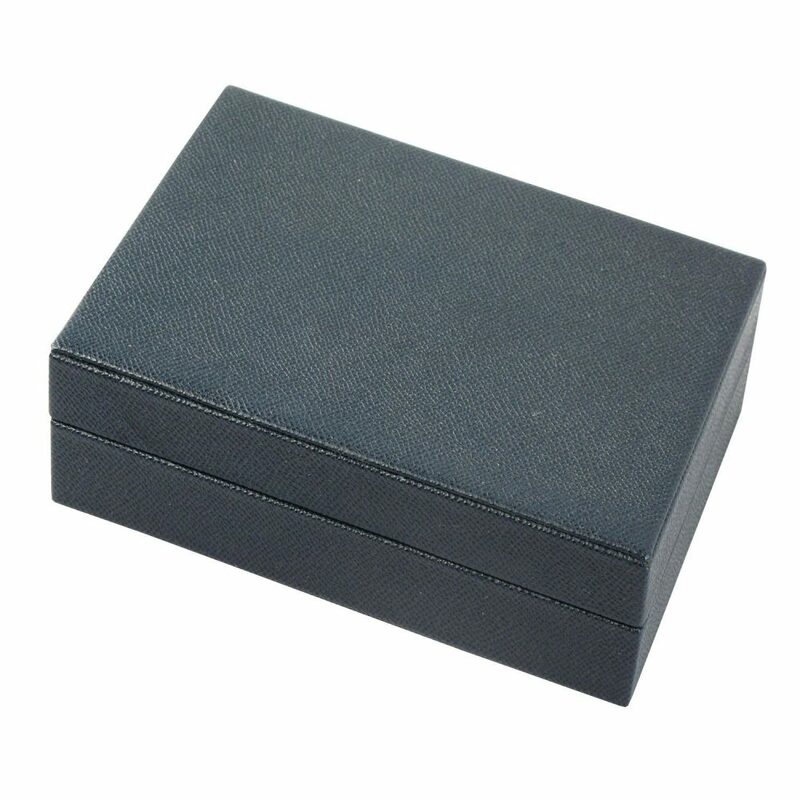 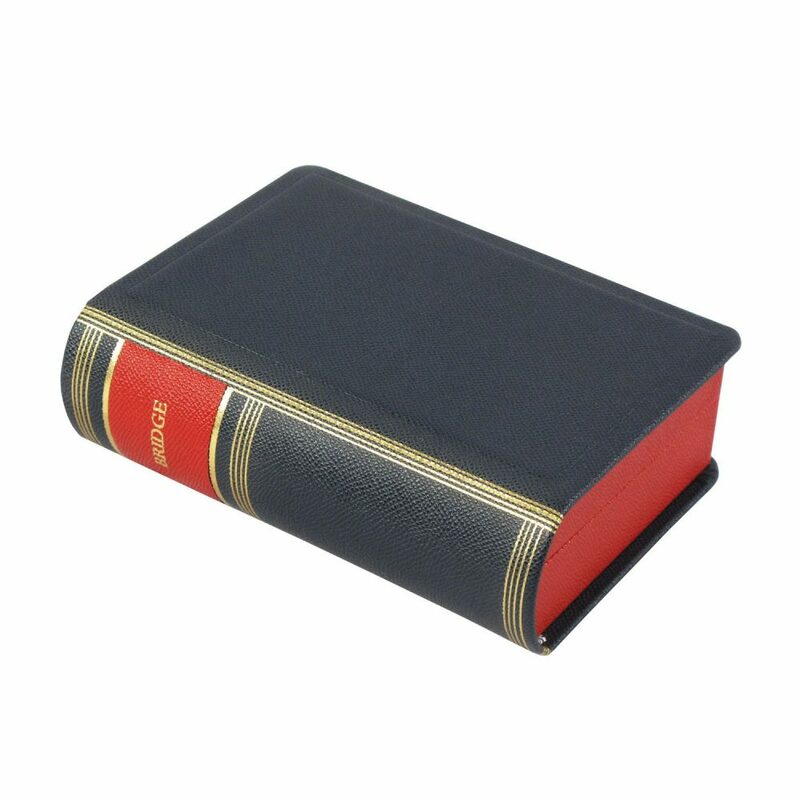 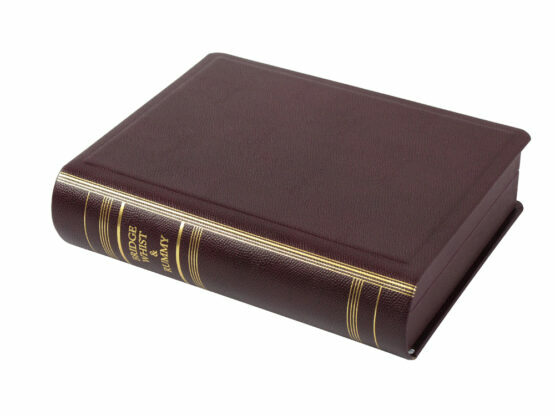 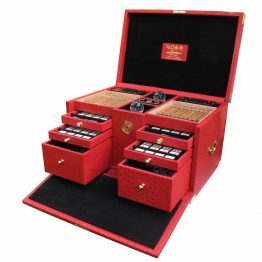 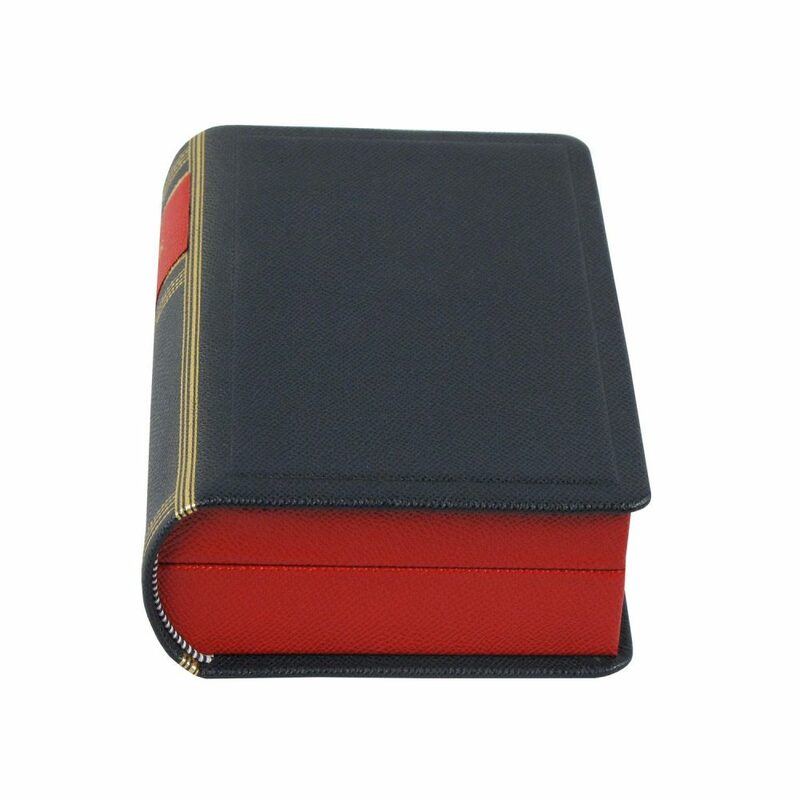 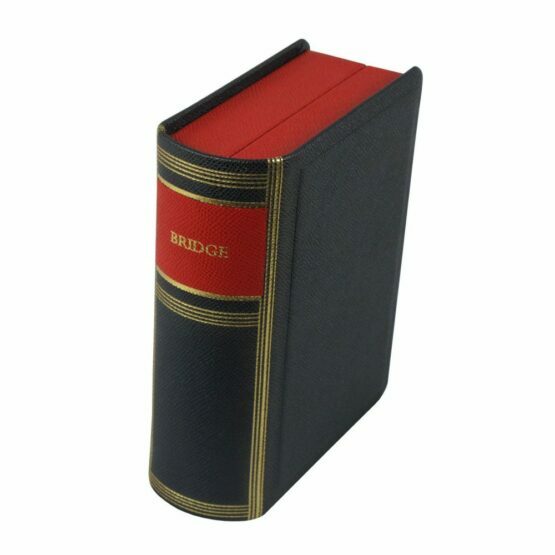 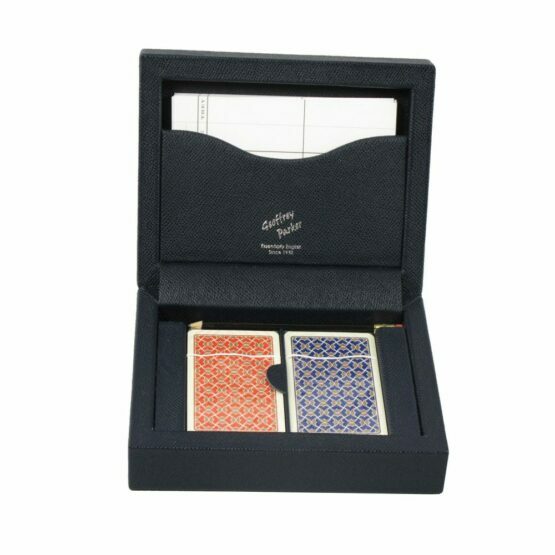 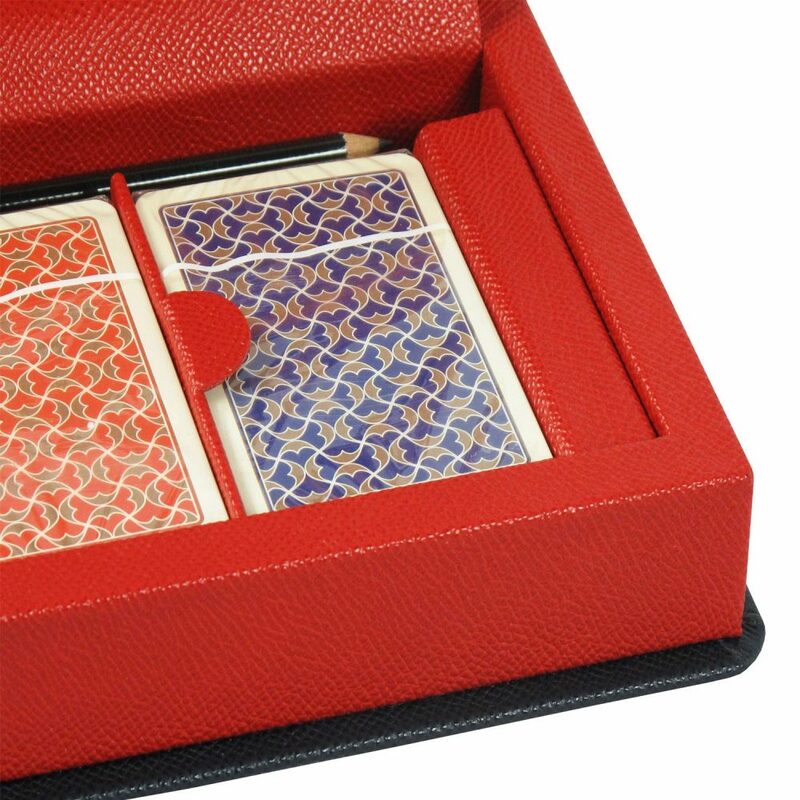 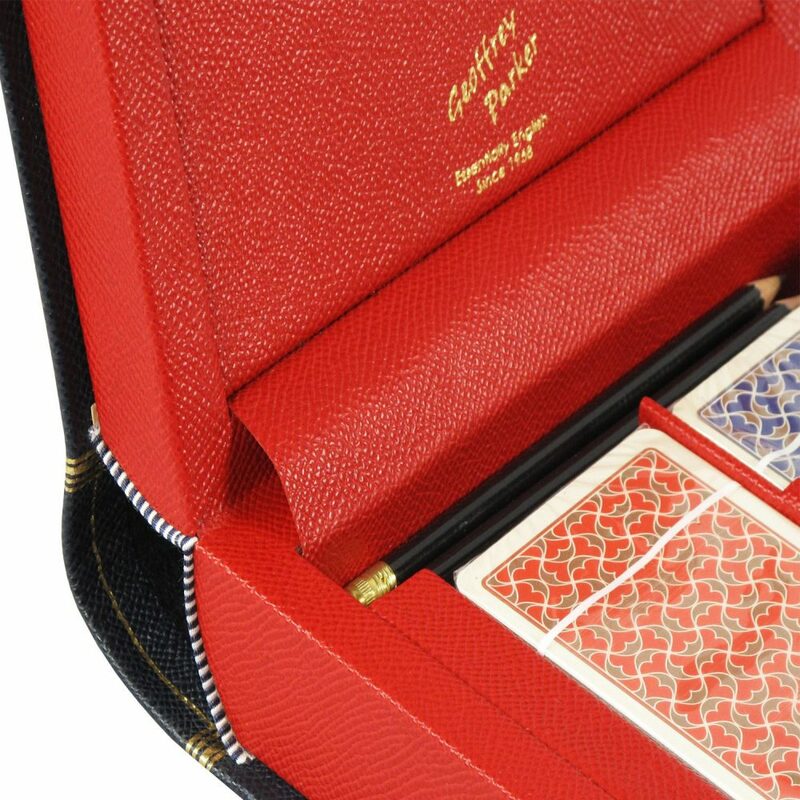 Our Geoffrey Parker Bridge sets are handmade to order in a number of designs; choose between two and four decks of bridge cards and whether you prefer these leather bound sets presented in a leather box/case or a leather book. 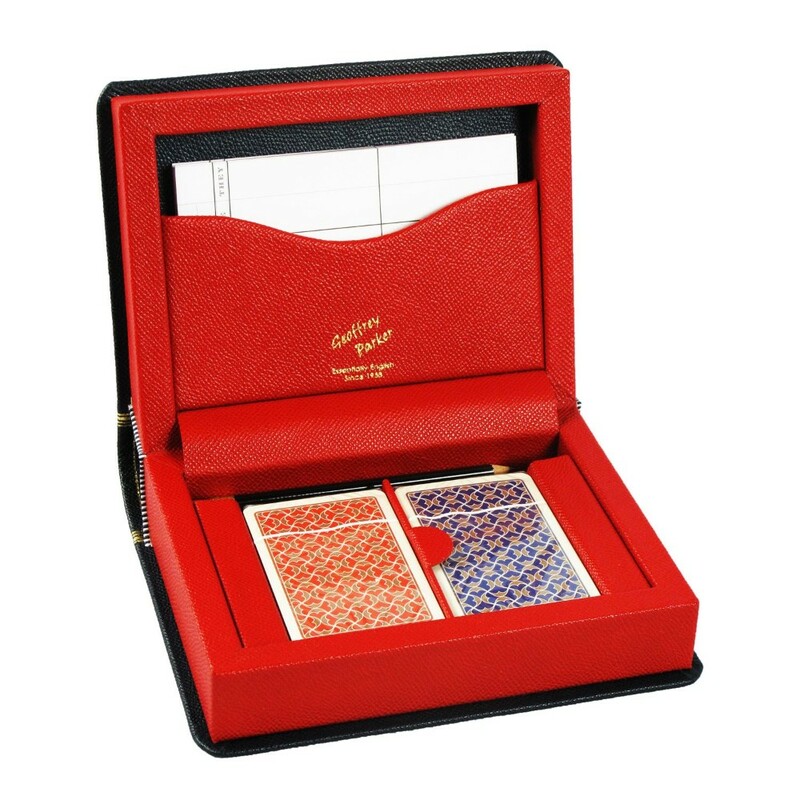 Choose your colours and embossings to design your ultimate bridge set for yourself or as the perfect gift! 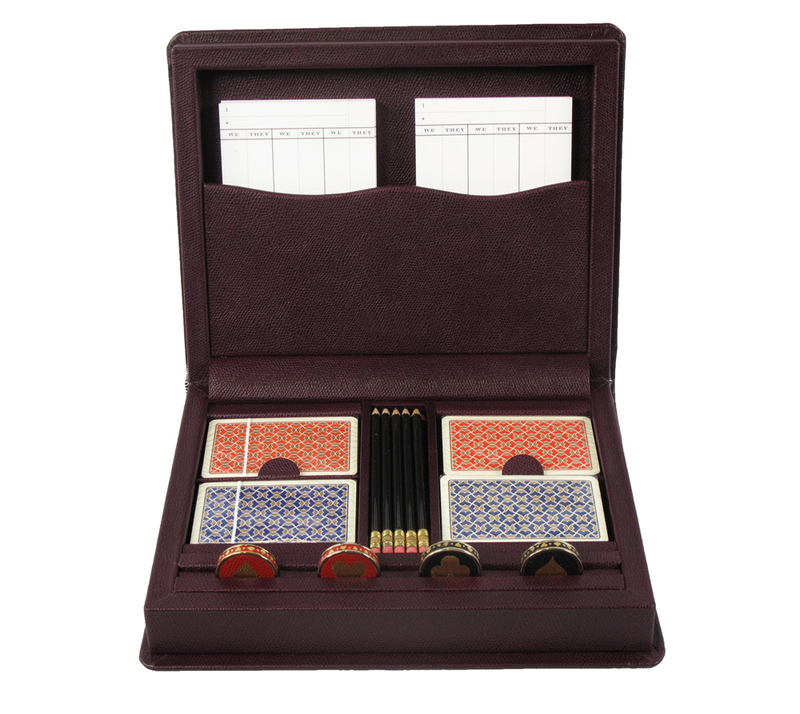 All sets are supplied with bridge pencils & score cards. 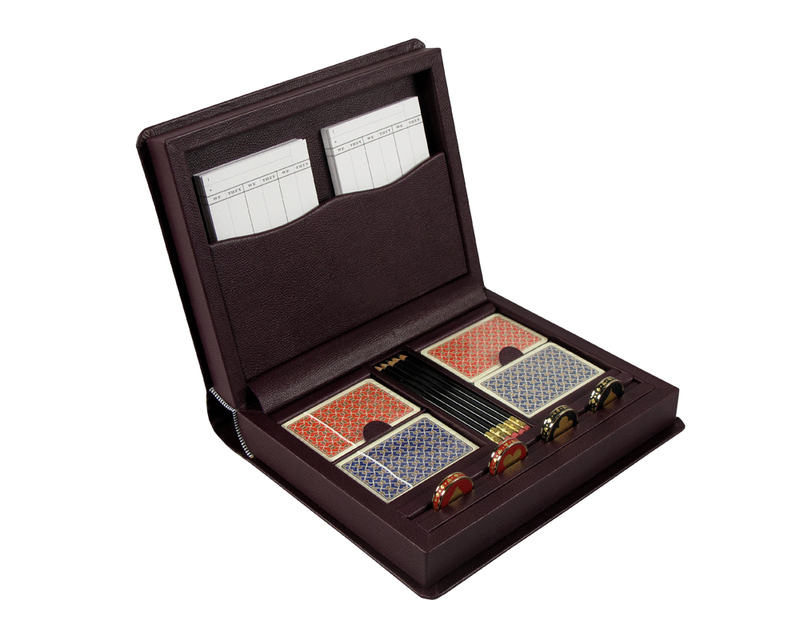 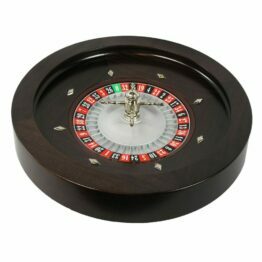 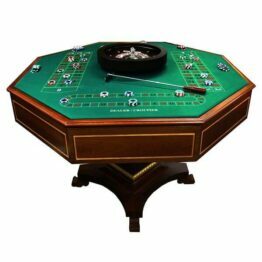 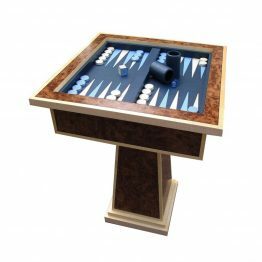 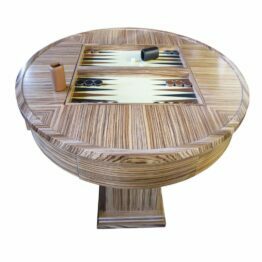 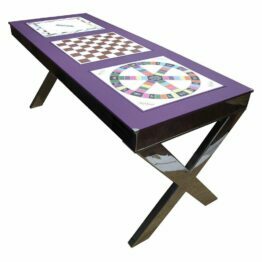 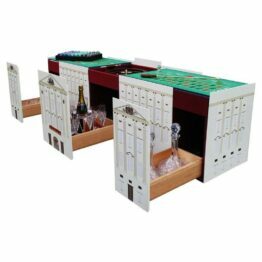 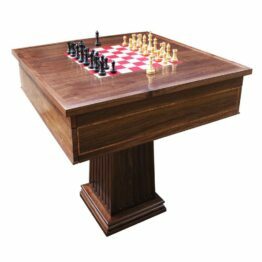 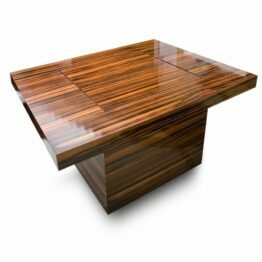 Designed to sit snugly on a bookshelf, or proudly display your bridge set inviting all to play. 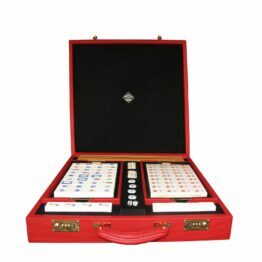 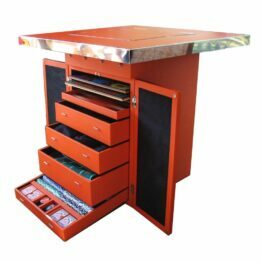 Our Bridge sets come in a range of designs and colours to suit your style. 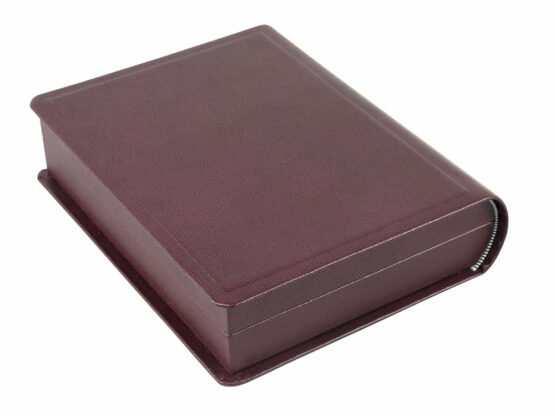 Handmade to order and bound in our finest Dauphin Calf Leather; add a personal touch with initials or a personal message. 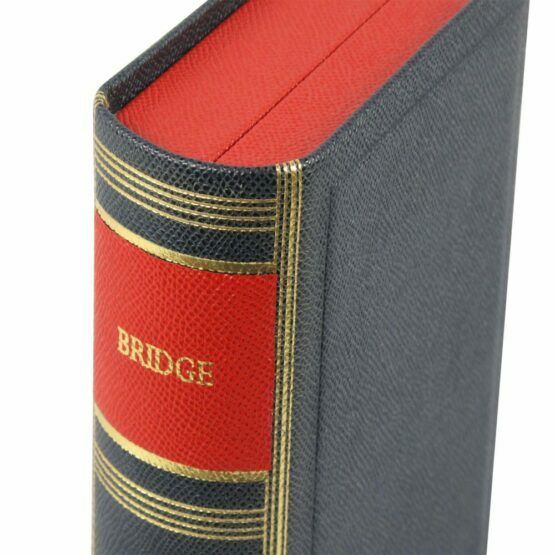 If desired, we can use existing leathers you may have for these bridge sets or ‘upgrade’ the leather to water-snake or alligator. 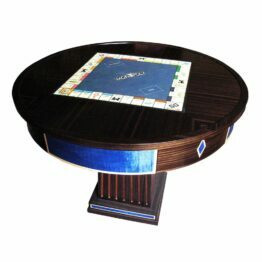 Enquire for details.